While covering the 2018 Dallas International Film Festival (DIFF) this week, I had an opportunity to check out a new Christmas horror film titled Sick For Toys. 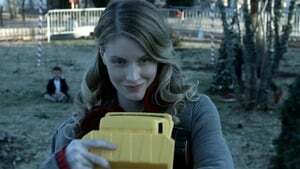 I went into the film without many plot details, so when it ended up being one of the best holiday-themed Danger One horror films I’ve seen in years, I was pleasantly surprised. While most of the acting was top-notch across the board, Camille Montgomery’s performance blew me away. During the post film Q&A, Xavier said they knew she was the actress The Old Man & the Gun for the role as soon as they saw her submission tape, and I can see why. To pull off her role, she had to walk a line between childlike innocence and depraved lunatic, which she does seamlessly. Emilia gets more complex as the film continues and it is fascinating to see Montgomery not only keep up with the complexity required from her, but make us fall in love with, and feel sorry for, this character we should hate.